So the user doesn’t have to see that R-code is used here. This one has fooled me a bit: My script worked fine in RStudio, but didn’t return any results in Power BI. As it turned out, the result of the script was a list (or vector) and not a dataframe. So I had to convert it to a dataframe (see row 12 & 13 in R Trend m) and then it worked alright. This might also not be too obvious for beginners: You can successfully run R-code, but not get any result returned from your R-script: Check the ExportCsv-script above: It would export the table to the desired path without the code in row 6 (“output <- dataset”), but we wouldn’t be able to see the data or further work on it in the query editor. So if you use the R-script for transformations and then further work on the results or load them to the data model, you need to create an output by assigning via the “<-“. outTrendline contains the trendline for the actual figures and outForecast the trend-predictions for the future periods (…the assignments from row 8-11 are not returned here, because they are not in dataframe-format). I hope this will help getting you started quickly with R in M ! 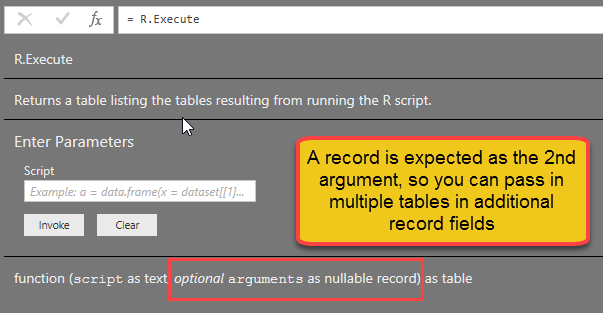 Do you agree that it’s a real pity that we don’t have the R-integration in Power Query in Excel (yet?)?. Then please vote for this feature here. Also check out this post explaining how to create and use a function library for your R-functions and applications. I really like your articles, and was thrilled when I saw this. But I just can’t seem to get it to work. I’ve tried to do exactly like in the example, but when I try to load two datasets like this [dataset=Source, dataset2=tbl_A] where Source is the last loaded table and tbl_A is another independent table, it just raises a Formula.Firewall error. Could you provide any more details with regards to how you’ve built your example? Thanks! this is a general issue with R-scripts and external data sources: You need to adjust your privacy settings to always ignore privacy settings. Thanks for bringing this up, should have mentioned it in the post! How do I call this export to csv function for each row table with a path_to_csv column and a list of table’s column ? Would each line export an csv file? I want to “invoke Custom Funcion” passing columns as parameters. 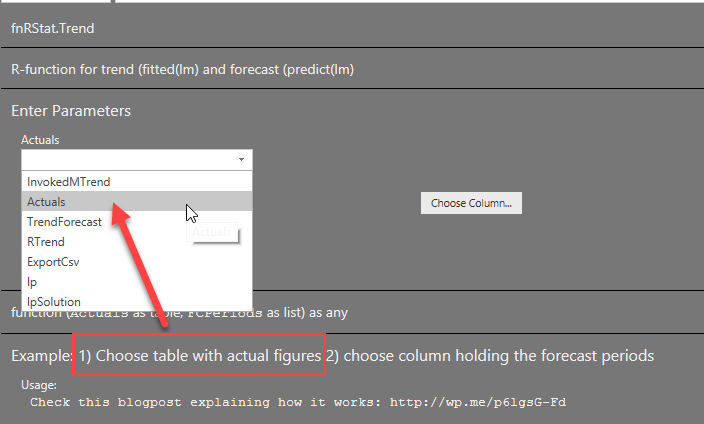 Yes, if you call this function in a custom column, for each row 1 csv-file would be created.